With Australia’s warm weather, you’re bound to encounter the elements while you’re spending time outside of your home. 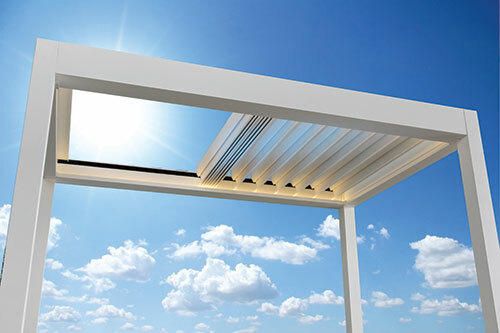 The Retractable roof system has an open – close function that allows you to control the airflow, sunlight, and shade that affect your outdoor spaces. 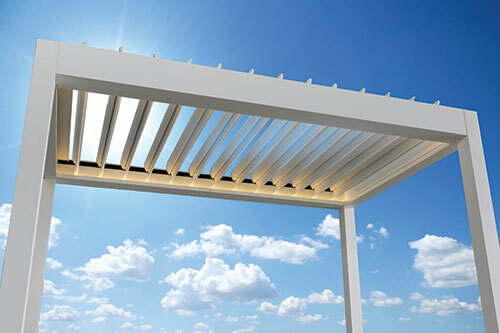 The Retractable Roof Pergola is designed to maximise your comfort while you carry your outdoor activities. Whether you’re by yourself, working, relaxing, or having a couple of friends over for a barbecue, don’t let the sun, wind or rain ruin your good time. We offer you the best solution – an open-close system designed with airplane wing-shaped louvres that allow you to smartly control the impact that nature has on your outdoor spaces. 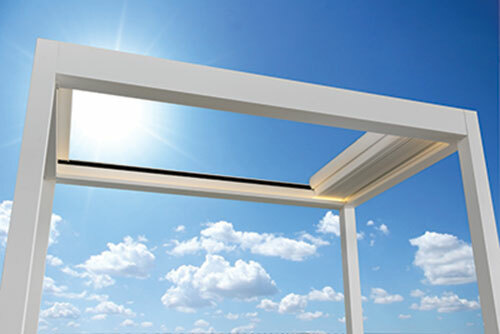 Maximise the airflow on your patio or minimise the sunlight on hot days, or just read your book without having to worry about rain, because its built-in sensor will make it lock down without any external command from you. 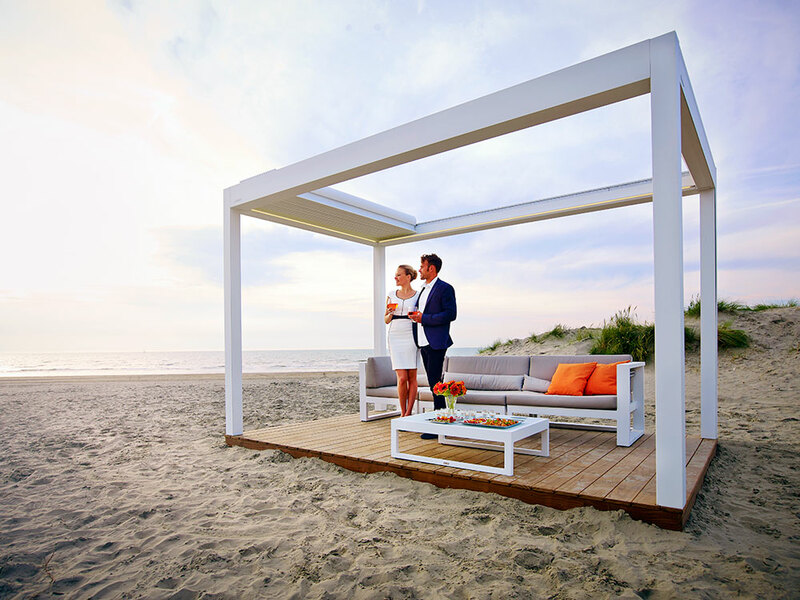 Our Retractable Roof Pergola solution will make your outdoor activities better, no matter the weather! Get in touch with us to find out more about how this louvre roof system can improve the quality of your activities or add value and style to your property. Did we mention it’s also energy-efficient? 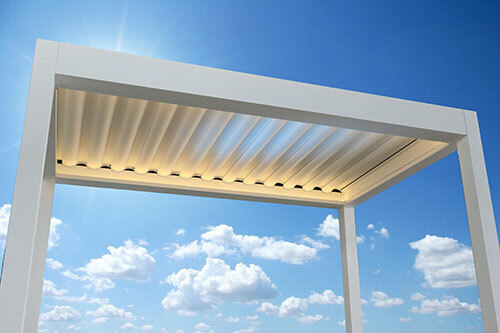 The louvre Retractable Roof Pergola system is also energy efficient, by creating more shade next to windows during summer, reducing the use of your air conditioning. You can also use it to trap the sun’s warmth during the colder season. It can be partially opened to let in some sunlight during a sunny day. Also, it can be retracted wide open if you want to sunbathe in the complete glare of the sun. Similarly, during the winter season, you can avoid the occasional rain and the wind. Our retractable pergola roof is made with strong fabrics and materials to withstand the test of time. They are made to deal with different weather conditions. Enhancing their durability from the usual wear and tear. They come in different shapes, colours, and sizes designed to cover a small or very large area up to 100 square meters. In addition, the installation can be done flat or tilted. You can as well choose your preferred material from various fabrics including aluminium, polyester, and PVC. We can also incorporate modern technology so they can be operated by a remote control. Our retractable roof for pergola can also be fitted with a sensor which can detect sun, rain and wind and adjust the roof accordingly. Pergola with retractable roof helps you create a fashionable extra space from where you can relish your coffee as you enjoy an evening breeze.